The first flavors that hit my tongue are a noticeable sweet followed by soy sauce. A faint bit of black pepper becomes noticeable. The chewing brings on more of the same flavors, with a faint natural meat flavor in the finish. For being described as having slight overtones of black pepper with a small hint of brown sugar, it's pretty much right on. The black pepper is noticeable, but faint. The brown sugar, however, is more than a small hint, it's actually right there, in plain view, and can't be missed. 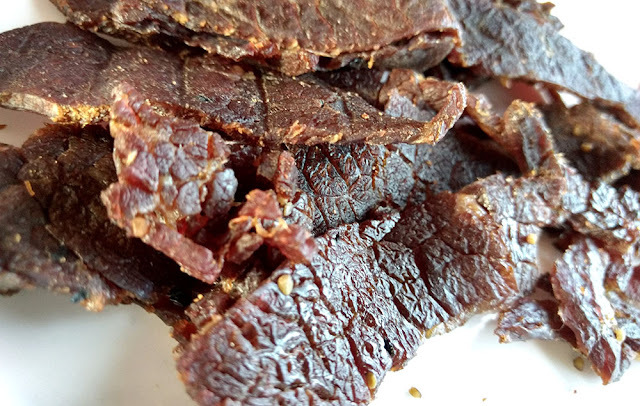 But as a jerky sold as, "Original", it's definitely something that has a balance of sweet, salt, and savory, without going spicy, and without favoring any other seasoning. Otherwise, the primary taste profile is soy sauce with a strong sweetness, but perked up with a light black pepper, and just overtones of natural meat flavor in the latter part of chewing. 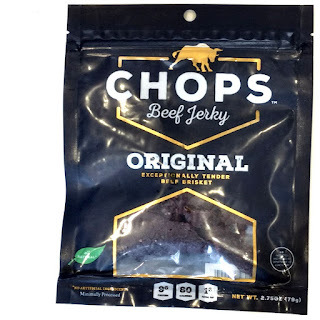 This Original beef jerky from Chops stands up to its advertised claims pretty well, and goes on to offer a lot of sweet and savory beef crack for committed meat snackers across the world. 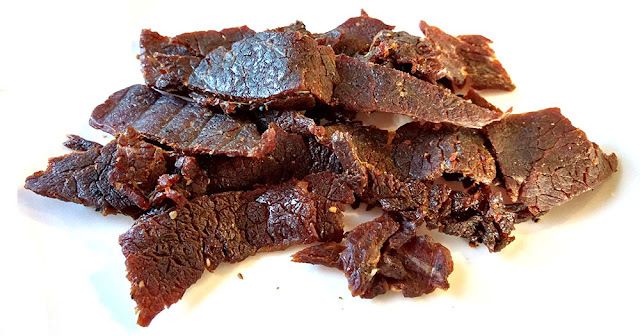 It's still however, a simple jerky, with no unique angle, nor anything that hasn't already been done before. It tastes and chews very similar to Perky Jerky, with the latter having a more tangy taste profile and a bit more moist. 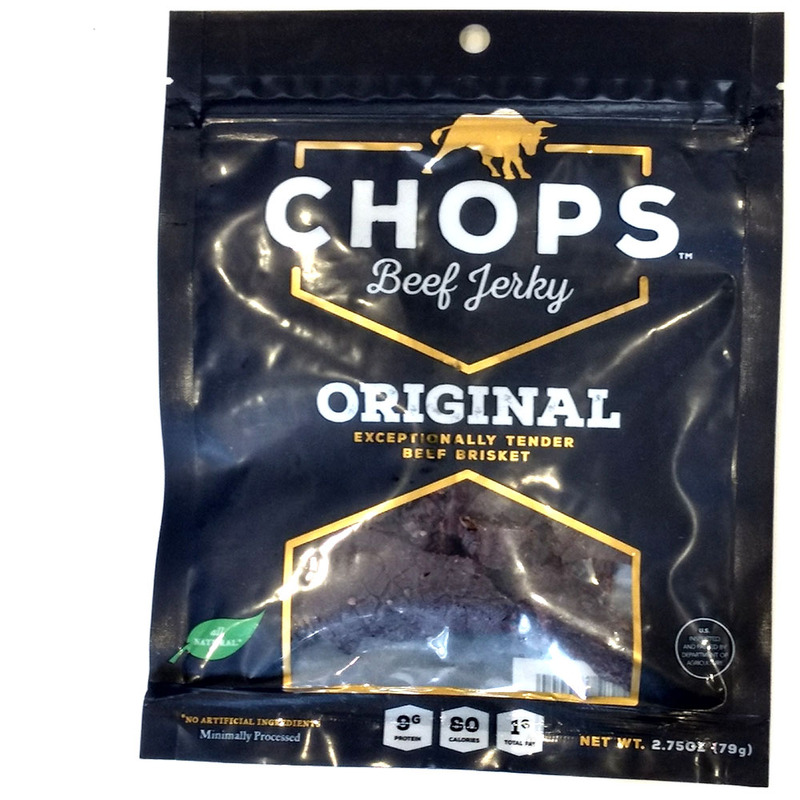 Chops on the other hand, tends to remain traditional in its recipe, relying on its tender, moist chewing to win over jerky aficionados. On it's own merits, it's very enjoyable, and addicting too, but compared to other gourmet brands out there, particularly in the brisket field, it doesn't really offer much to differentiate itself. I would love to try it. Can you buy it in Mississippi?